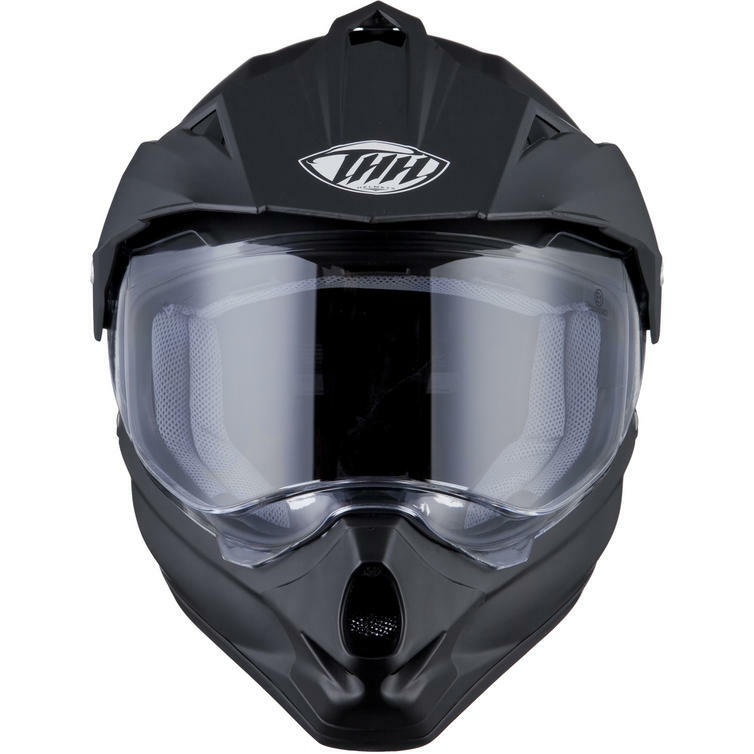 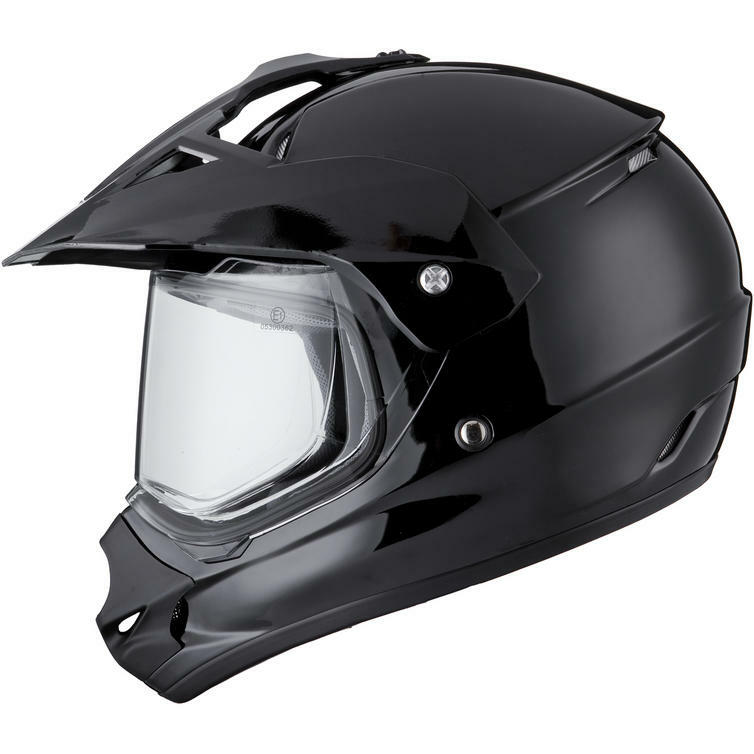 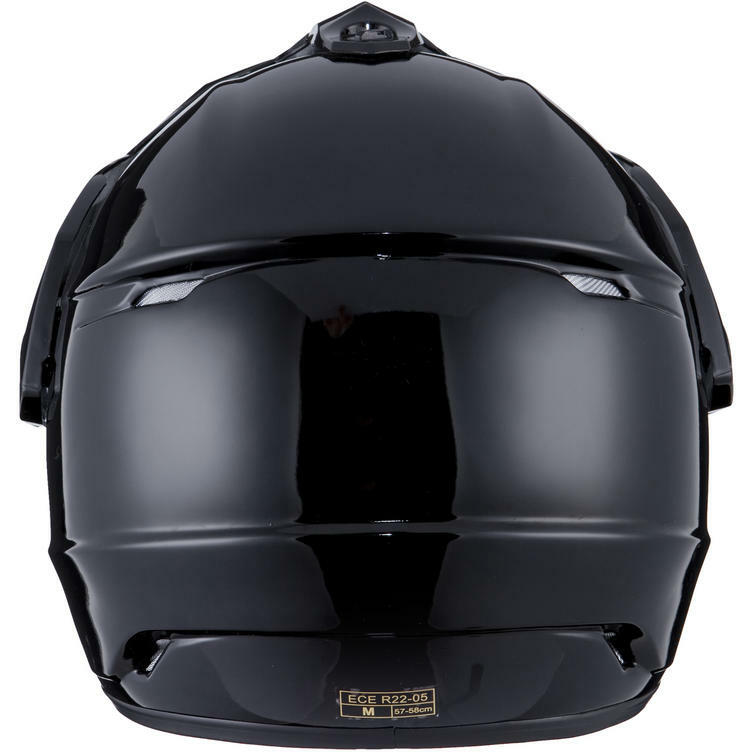 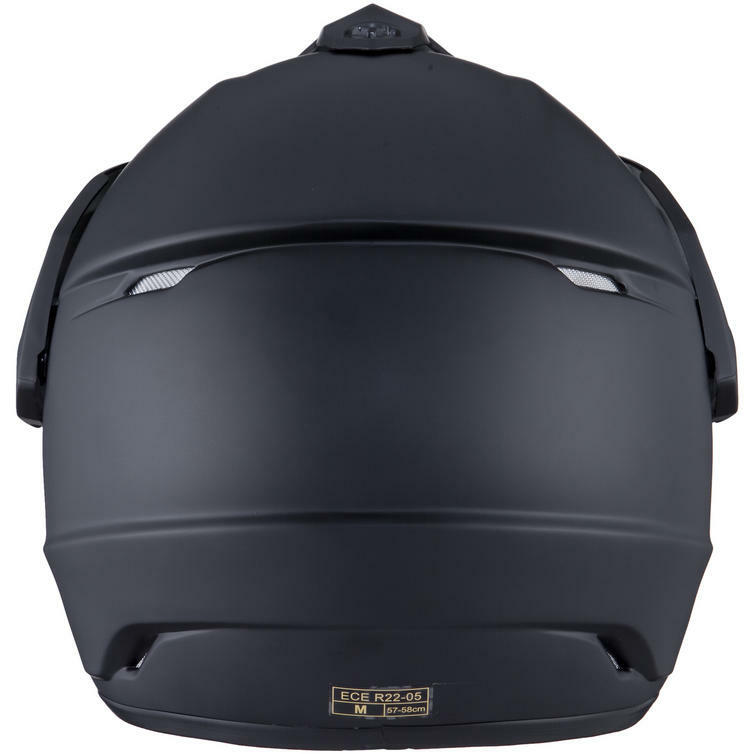 The THH TX-13 Plain Dual Sport Helmet is the perfect entry level helmet. 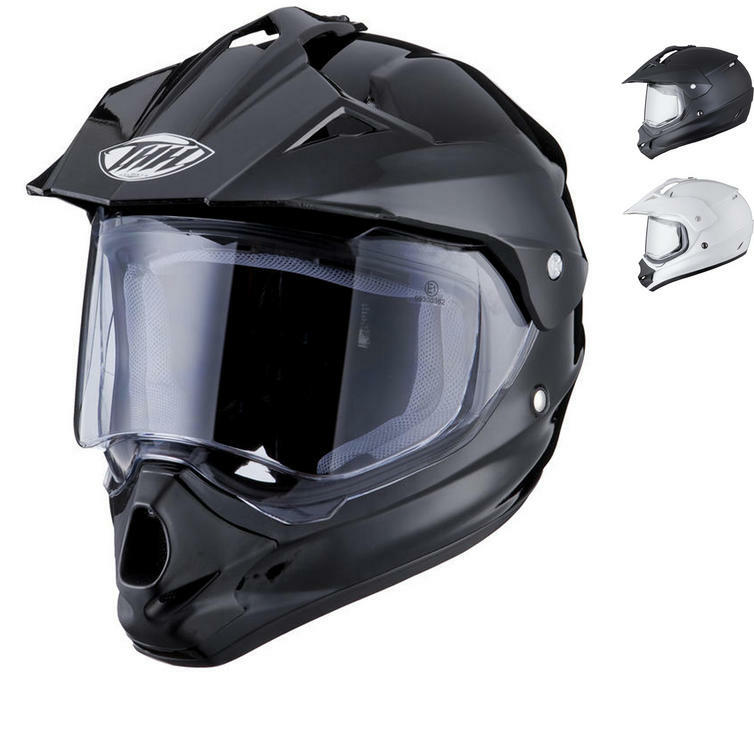 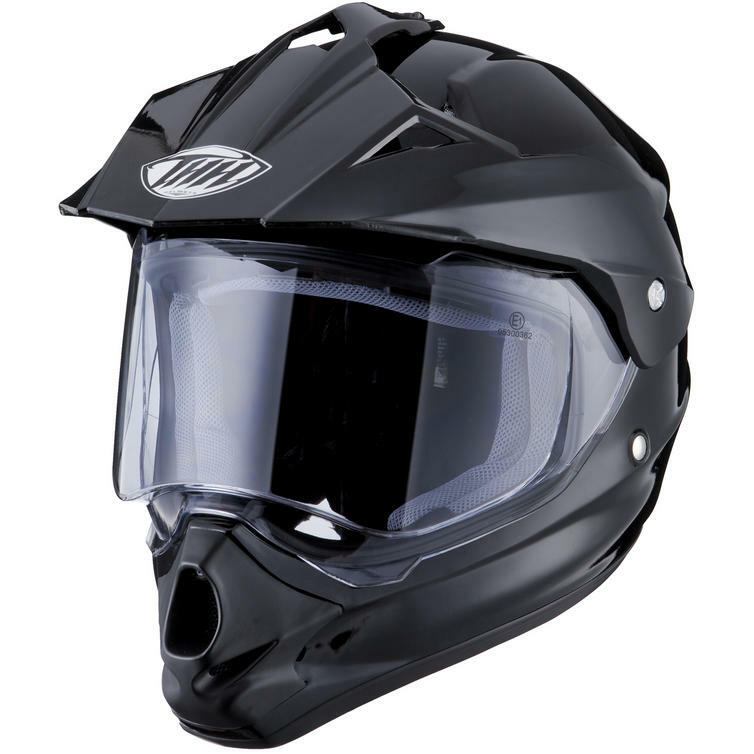 Bringing the best parts of Motocross and Motorcycle helmets together, a dual sport helmet allows you to have a motocross-style outer shell, including a peak and chin vents, but it also provides the same protection as a regular full face helmet thanks to the clear visor. 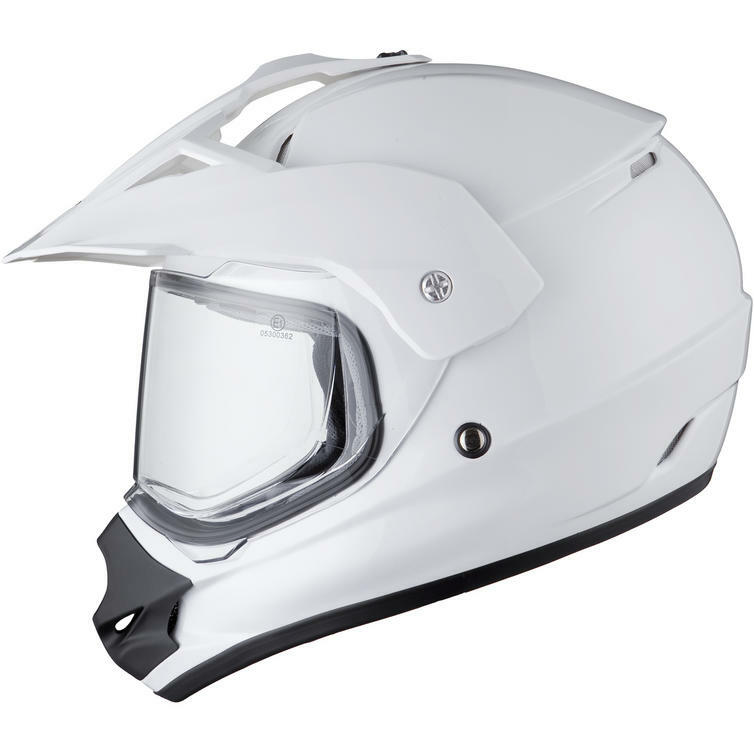 The TX-13 comes with a fully removable liner that can be hand washed to stay fresh and a micrometric buckle that provides the rider with a secure fit that is quick and easy to open and close and also offers an adjustable fit. 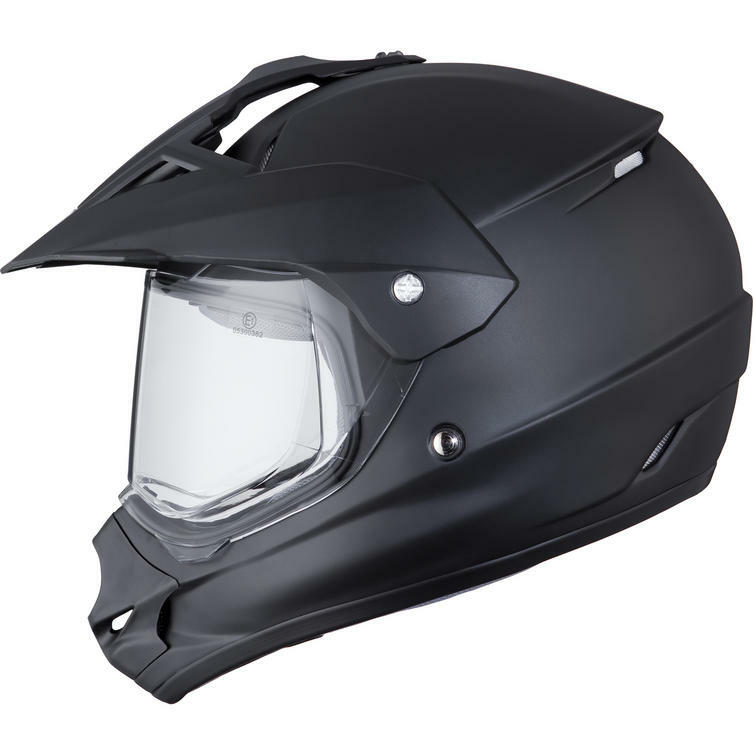 All this means that the TX-13 helmet is perfect for both on road and off road riding, so whether you are adventure riding, touring or green laning this is the helmet for you! 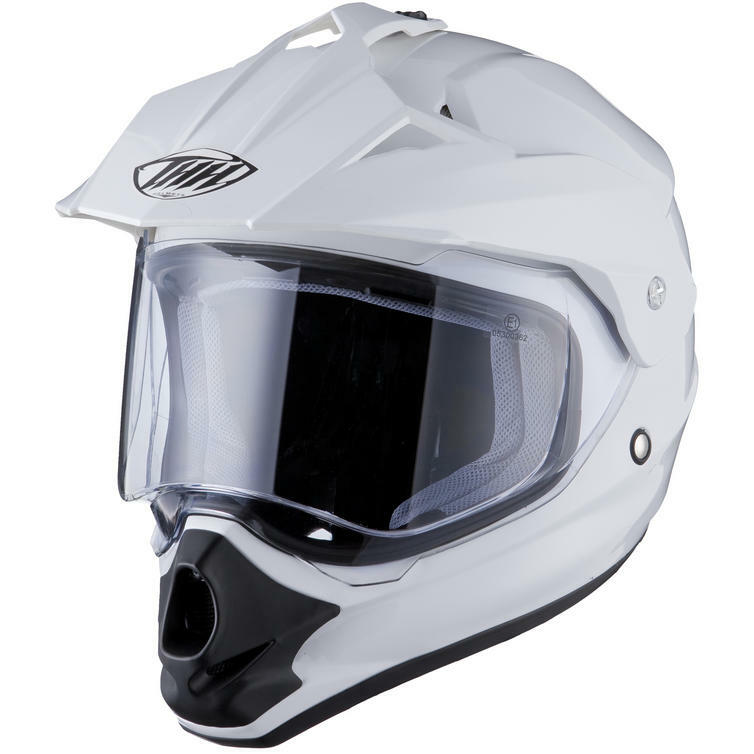 An incredible helmet at an unbeatable price; get yours from GhostBikes.com today! 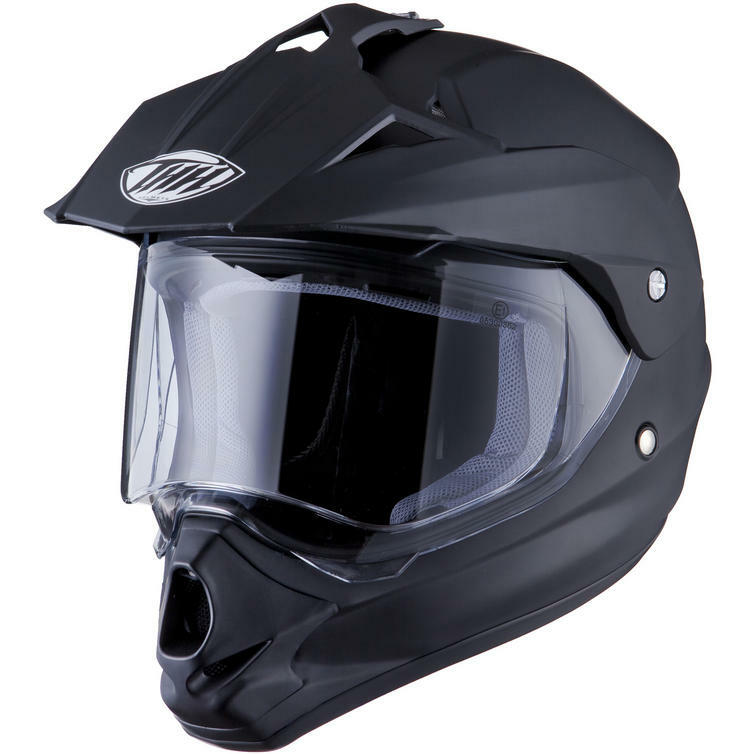 GhostBikes.com now stock a full range of THH Helmets. 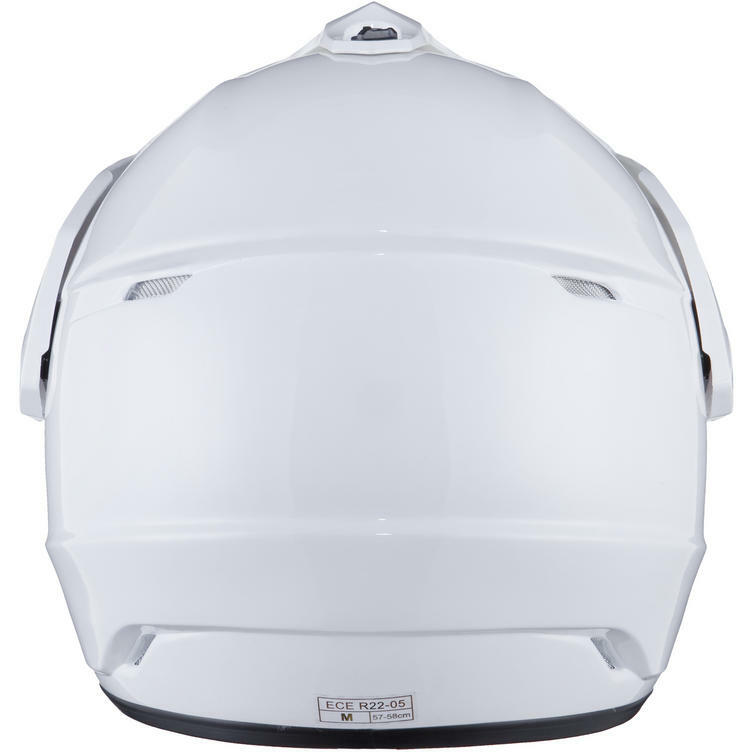 Please click here to see what's currently available. The THH TX-13 Plain Motocross Helmet is currently available in the colours shown in the product variation above, if there is no variation option, it will be available in the colours as shown in the pictures above. 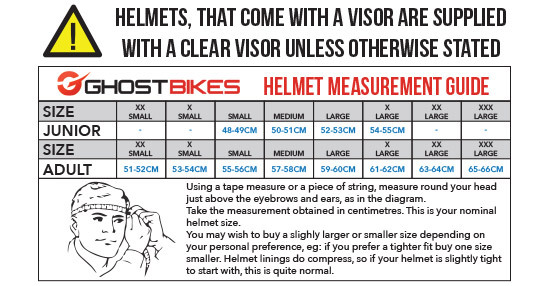 The THH Helmets are available in various sizes, please use the guide below to help determine your correct size preference.